Which bucket and wringer goes with this mop? The corresponding bucket comes complete with wringer and can be found here. A versatile option for all working environments, our Kentucky Colour Coded Mop Head promises to last the test of time. 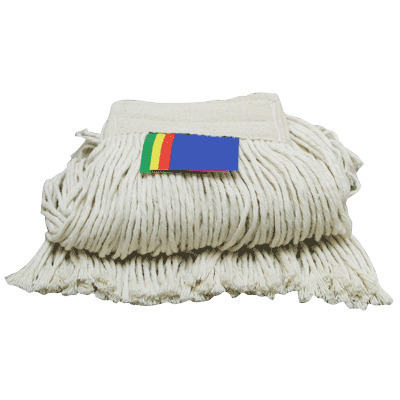 Manufactured from a high quality multi-fold cotton yarn, this durable mop head has been designed to offer exceptional absorption and a long lasting function. A multi-coloured tab stands out against the white mop strands and can be torn to leave behind a colour coded visual indicator - helping lower the risk of cross contamination. Suited to all businesses from nurseries through to offices and care homes, these cleaning heads are available in large case sizes of 30.